The Soap Queen, Anne-Marie Faiola, shows you how to make perfect cold-process soap that is better than what you can buy at the store! Simple instructions and great photography walk you through every step of 31 exciting recipes, making it easy to master the techniques you need and produce the soaps you want. 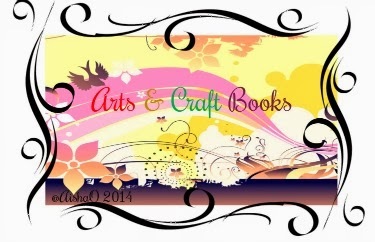 You'll find chapters on colors (neon, oxides, mica), molds (milk jugs, yogurt containers, pipes), food (pumpkin, coffee, beer, avocado, oatmeal), and building (embedding soap in soap, funnel pour, swirling). Faiola offers everything you need to make your own soap, safely and enjoyably! I have never wanted to crawl into a book and eat soap as badly as I did while reading this book. I totally see why she's called the soap queen I mean just take a look at thos beautiful bars!! I have been a fan of soap making for several years (I'm more of a melt and pour gal), but I decided I wanted to take it up a notch and learn more about cold press soaps. Now I will confess to having read a few books but never really trying anything from them. 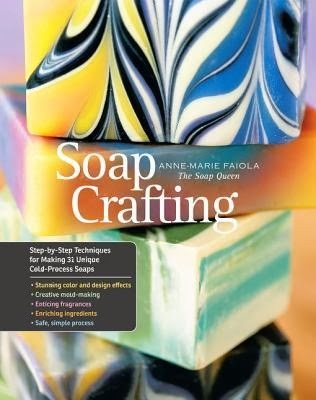 This book, not only did I read, I hooked a friend into letting me use her second kitchen as the experiment room, we had a blast trying to make soap and keep her kids out of it. The recipes were easy to follow, the instruction and the little tips to remind you of what to watch for made reading this book the perfect way to really try my hand at cold pressing. I liked that she shared resources and some substitutions and even some really great additives to try. Now I won't be showing you the hot mess I made attempting these but once I get them half way decent?? Ohh you can expect to see lots of pictures all over the place. I'm actually purchasing a physical copy for myself and for my best friend. And now I'm addict for Soap Queen everything all over the internet.